Sarah Ciesiolka is a fifth generation farmer. Sarah and her husband farm on land between Wee Waa and Narrabri. 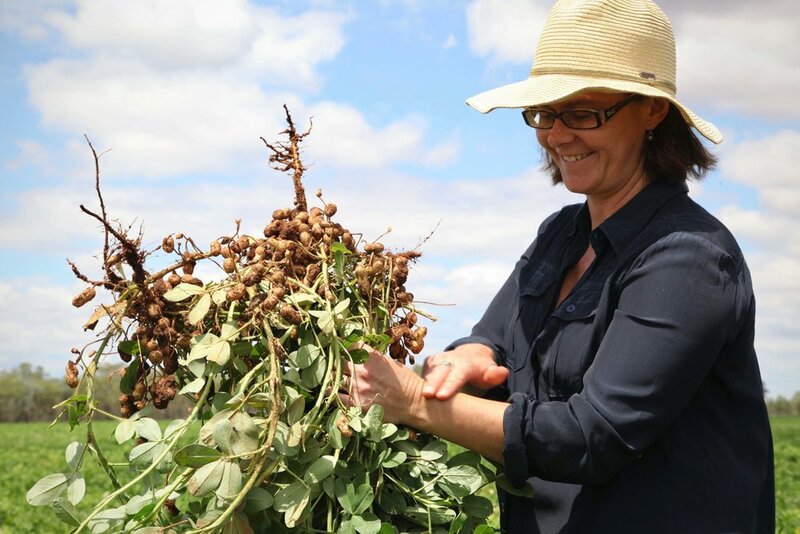 "Each year here on our farm we produce enough potatoes for about 26 million roast dinners or about 13.5 million family sized packets of crisps," said Sarah. "We also produce enough peanuts for 360,000 jars of peanut butter and 2.4 million packets of beer nuts. "We grow enough wheat for 3.3 million loaves of bread. In addition to that, year in year out, we employ up to 20 permanent and seasonal workers." The land Sarah farms has been in her family for decades but in recent years coal seam gas has seen the future viability of the farm put at risk. "We're located just six kilometres downstream of Santos' Narrabri gas project, the biggest proposed gas development in NSW." Sarah worries about what this means for her business and the health of her family. "We're groundwater irrigators which means we rely on underground water to irrigate our crops. "But also we rely on that same water for everyday living, so for washing, showering and drinking. We have no other source of water here." Sarah has three children aged 11, 9, and 7. "As a mother of three young children, I’m very concerned about the health impacts of the coal seam gas industry because we will be the families directly and negatively impacted." "We've already had a number of spills and incidents here in the Pilliga. A number of these chemicals are known carcinogens and just because they may be used in small quantities, we don’t know what the long term health impacts are," she said. Sarah vows to continue work to defend her farm and secure permanent protection for her region. "This about the things that are priceless: clean air, clean water, and land to grow clean, healthy food."